The Frigidaire Dual Fuel 4.2 Cu. Ft. Stainless Steel Kitchen Range, Model: PLCS389DC has been created with the highest level of cooking power in mind. When you have a dual fuel range, you are able to achieve the best cooking results from both electric cooking and gas cooking. This kitchen range has numerous cooking features that have been upgraded from previous models, and will provide you with a professional cooking surface to prepare even the most difficult meals. This is one of my favorite kitchen ranges on the market because of its ability to turn any household cook into a great chef. 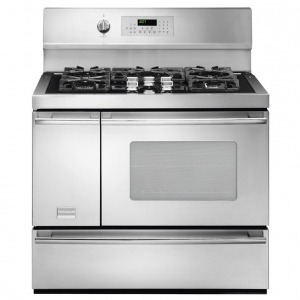 This Frigidaire Dual Fuel Kitchen Range is one of the best ranges on the market due to its unique cooking features other technologies that actually make cooking easier. The first feature I want to talk about is the overall size of this range. Within the oven, you will be able to enjoy a spacious interior that measures 4.2 cubic feet. 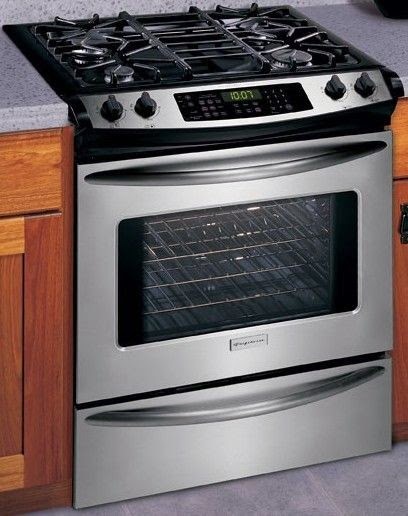 This oven is large enough to handle holiday meals, but can also be used for smaller meals. 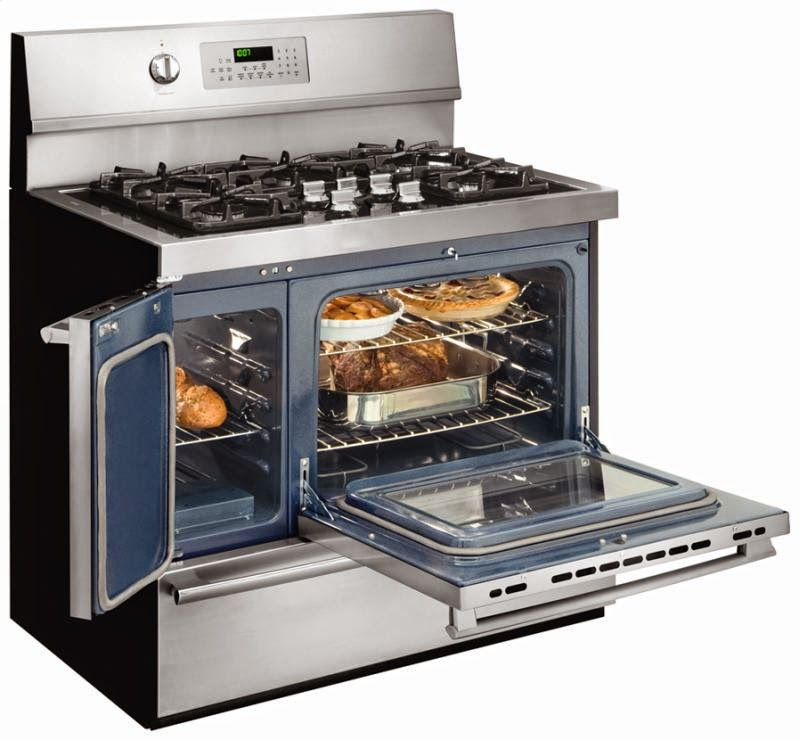 The oven features the EvenCook Convection System, which will allow you to enjoy the best in oven cooking. However, convection cooking is much different than traditional ovens, which is why Frigidaire has installed the Convection Convert System, which will automatically convert cooking times and temperatures to eliminate any guesswork. The oven works through the hidden element located within the oven, which streams heating air throughout the interior oven, which is key to perfectly cooked foods. The cooktop of this range features cast-iron grates that are sealed for easy cleaning. Since the oven features gas cooking, you will be able to enjoy automatic ignition as well as the cleanest way to cook your foods. There are a total of four different burners on the cooktop, each of which feature a different heat output. The highest burner can reach temperatures up to 16,000 BTUs and the lowest temperature burner is perfect for simmers, featuring a minimum heat output of 678 BTUs. There is also a 1.6 cubic foot warming drawer, which is perfect to place your already prepared foods in. This drawer will keep your foods at a perfect temperature for serving without further cooking the food. I have found that this type of feature is perfect when preparing a large meal. 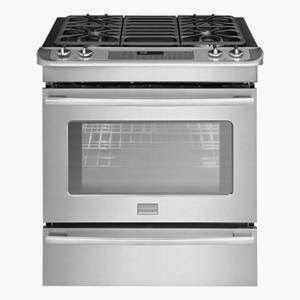 Frigidaire PROFESSIONAL® Dual Fuel Double Oven Convect Range. This Frigidaire Dual Fuel Kitchen Range can be purchased online and through retail stores for an average price of $1,500. I suggest looking at this range in-person to learn about all of the various features that truly make this range a great buy.